When you choose Hero Plumbing, Heating & Cooling, our services will exceed your expectations. This is why we can confidently offer a 100% Satisfaction Guarantee, or your money back. If you aren't satisfied after we provide plumbing service, we are committed to do whatever is necessary to correct any problem to ensure your satisfaction. Hero Plumbing, Heating & Cooling's plumbers are the best in the business. Our friendly, knowledgeable, and skilled plumbers will take the time to answer your questions and explain all of your options in a way that is easy to understand. We provide upfront pricing by the job, so there are no surprises. 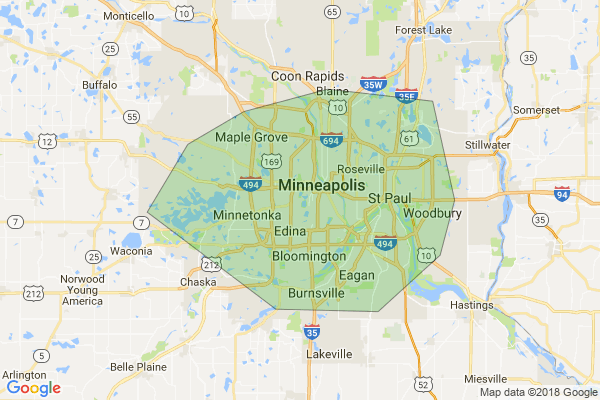 If you are in need of plumbing service in the Inver Grove Heights area, give us a call today. Hero Plumbing, Heating & Cooling has been proudly serving the Inver Grove Heights area for 100 years. We have worked hard to earn our reputation of excellence and every day we will continue to provide top-quality plumbing service. Call us today at 651-383-1413 to schedule an on-site estimate for Inver Grove Heights plumbing services! "Highly recommended because of how knowledgable their technicians are. Super friendly, timely and professional. Would use them again if I have issues." - Ben K.